It’s not very often that I can create flowers for someone’s wedding day and say that I have known them my whole life, well technically the bride’s whole life, my younger cousin Candace. She was married to her handsome beau, Nathan on a gorgeous warm February day. The venue was Maggie Beers Farm in the Barossa and I couldn’t think of a more stunning venue, it had everything, a gorgeous setting, delicious food and even a peacock! 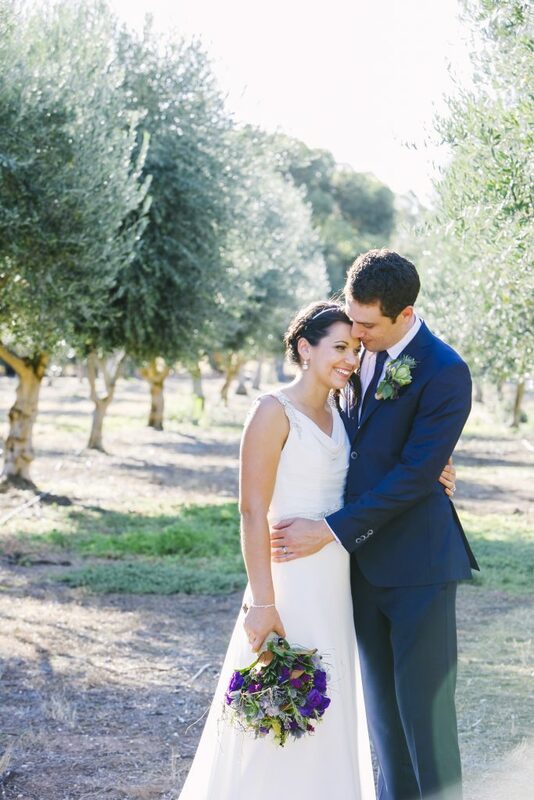 Panache Photography worked their usual magic and captured the romance and relaxed vibe of the day beautifully. Stationery design was by the ever talented Claire from Kookachoo Stationery Design. 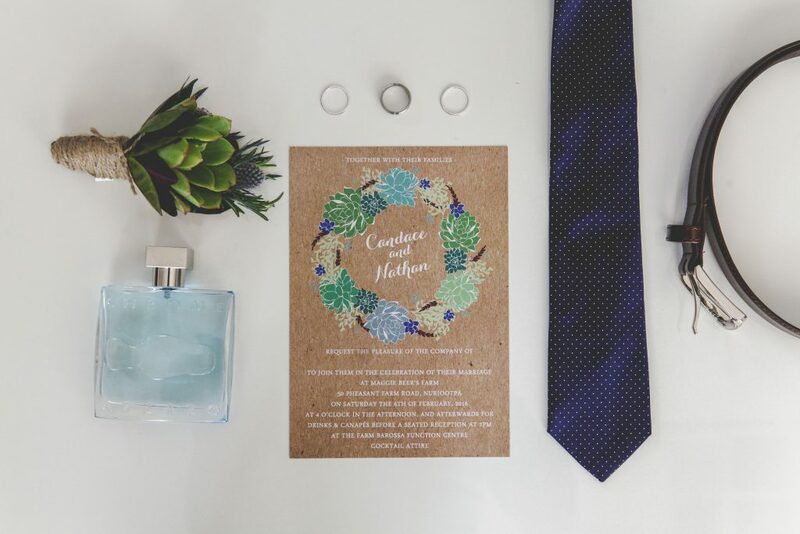 Candace conveyed to Claire her style and theme for the wedding with florals and accents and Claire translated this beautifully into her invitations. For Candace’s bouquet, it had to be a little bit different. Candace loves things that are unique and rather than traditional classic fluffy petals, Candace is drawn to succulents and textures. 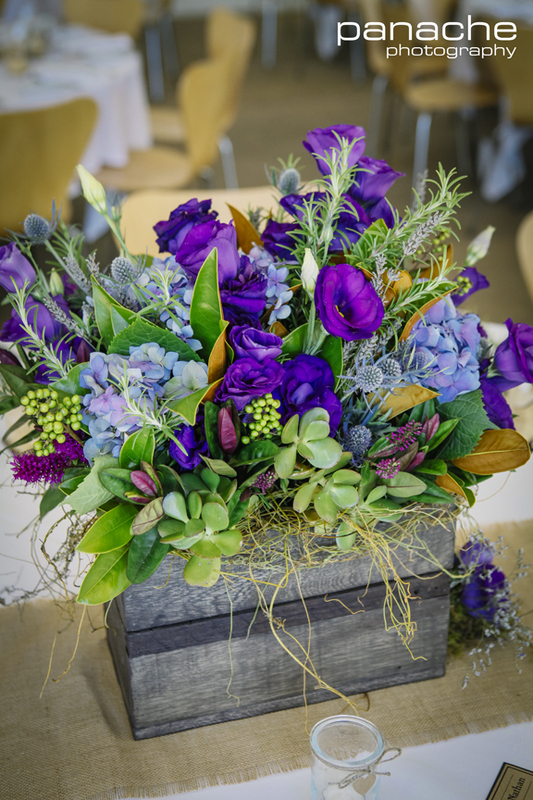 I relished in this brief creating a textured garden posy of purple lisianthus, succulents, sea holly, berries, lavendar, rosemary, dodder vine, magnolia and hebe foliage. To add that rustic feel, hessian and twine was used to finished the bouquets. 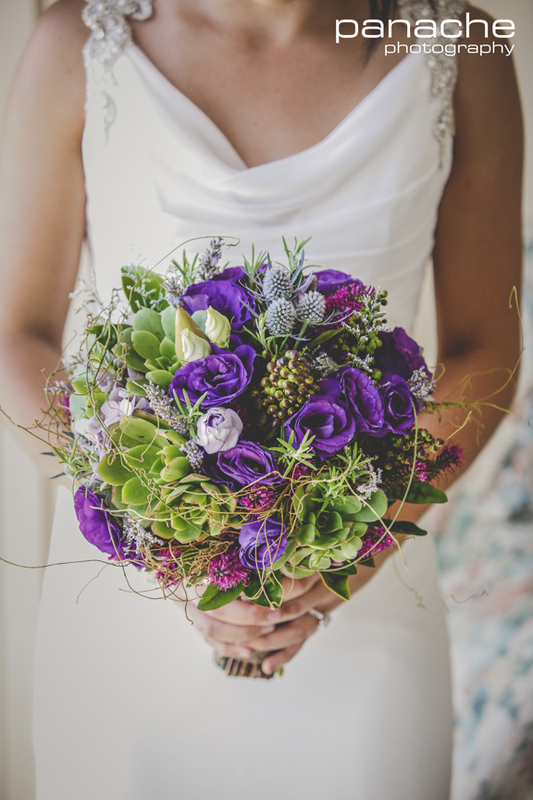 GARDEN Bridal Bouquet “Candace” consisting of succulents, lisianthus, hydrangea, lavender, sea holly, hebe, rosemary, dodda vine and magnolia leaf. Image by Panache Photography. 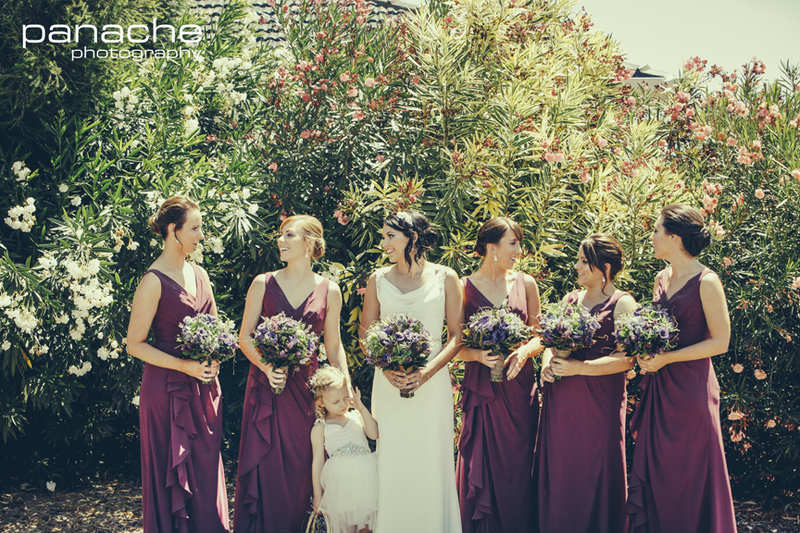 The bridesmaids wore deep aubergine coloured dresses which tied in beautifully with the hebe and lisianthus flowers. Each carried a smaller version of the bridal bouquet. GARDEN Bridesmaid Bouquets “Candace” consisting of succulents, lisianthus, hydrangea, lavender, sea holly, hebe, rosemary, dodda vine and magnolia leaf. Image by Panache Photography. 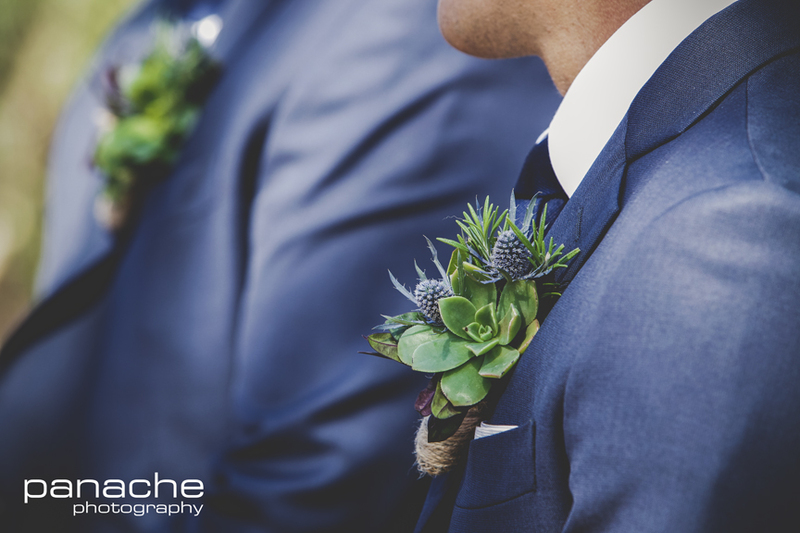 The boys buttonholes consisted of succulents, sea holly, sea holly, rosemary and hebe foliage finished with twine. The inclusion of rosemary was a nod to the groom, Nathan and his Croatian heritage. Rosemary featured in all their floral designs as well as on each guests bonbonniere. GARDEN buttonhole of succulents, sea holly and rosemary framed with hebe leaf, finished with twine. Image by Panache Photography. A bit of a special feature for the ceremony was this feature succulent sign, created weeks in advance. The frame and letters were made from timber by Nathan’s father. 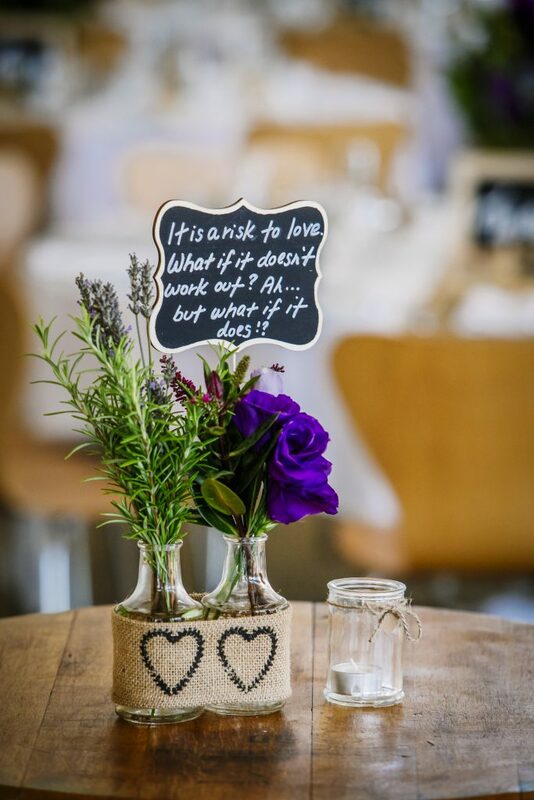 Each letter was painted in the wedding colours of navy and purple. 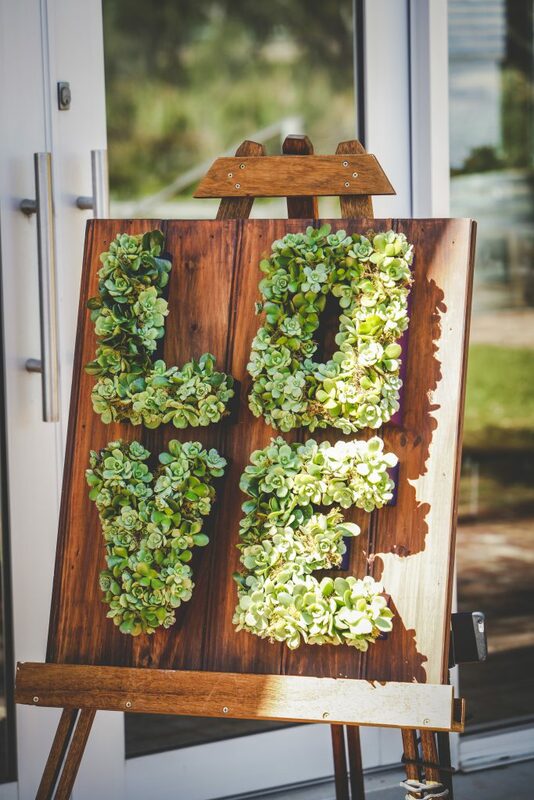 I filled the letters with succulents and moss and this sign stood proudly at the ceremony while Nathan and Candace said ‘I do’. Candace still has this display in her home! Guests were greeted at the reception with pre-dinner drinks and on the cocktail tables were twin bottle arrangements filled with matching flowers and each had a cute little saying about love, awww! 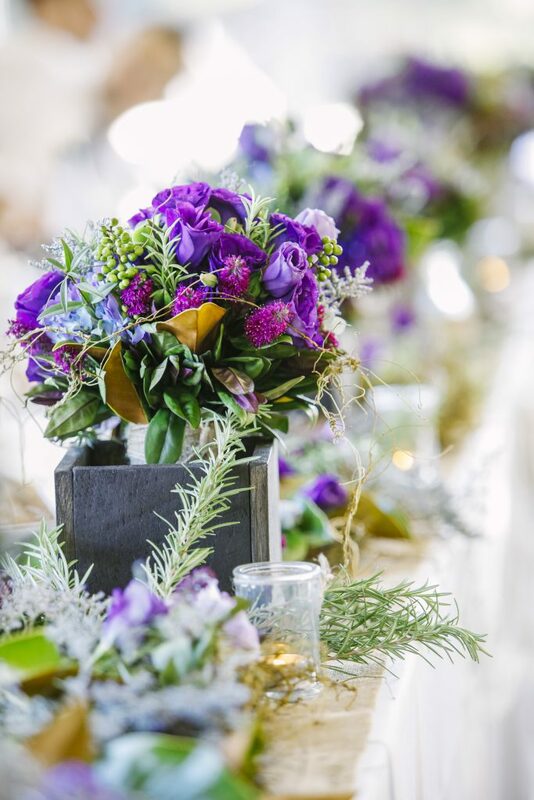 The table centrepieces were created in custom made rustic boxes and featured all the blooms in the bridal party bouquets as well as a gorgeous blue and purple tinged hydrangea which tied in beautifully with the sea holly. 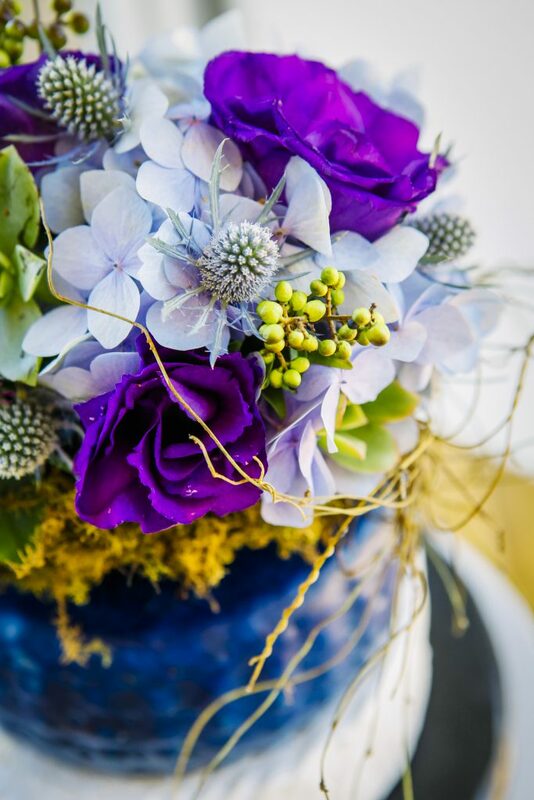 GARDEN table flowers consisting of hydrangea, lisianthus, sea holly, succulents and berries. Image by Panache Photography. The bridal table was adorned with smaller custom made wooden boxes which displayed the bridal party bouquets. As there were six in the bridal party these bouquets were perfect to display. The table was further adorned with florals, foliage and candles clustered and grouped running all along the bridal table. With the menu at the reception including Maggie Beer’s famous ice cream, the couple chose a ‘cake’ made of wheels of cheese which was also served at the end of the night. To adorn this cheese display a small grouping of the same flowers.